Sign Up Now for 2019! Please see our player page for Jacob deGrom to see projections for today, the next 7 days and rest of season as well as stats and gamelogs designed with the fantasy baseball player in mind. Please, blog, may I have some more? Back when I was just a young Jack, Grandpa-Donk would regale all us little Donks with tales of his extensive world travels. The old donk especially enjoyed visiting Mexico. On his first venture down south of the border, gramps experienced the full wrath of Montezuma’s Revenge. His exact words, “Coming out both ends for days”. But somehow, after that maiden voyage to the other side of the Rio Grande, G-Donk never again suffered the Hispanic Hershey Squirts. This reminds me of the curious case of Francellis “Frankie” Montas. Last year Montas started 11 games from the end of May thru October. After posting three quality starts in his first three outings, Montaszuma’s Revenge hit abruptly, as Frankie managed only 2 quality starts over the course of his next eight outings. The Runs were plentiful, if you know what I’m saying. This season Montas has come out with some solid logs. Game logs, I mean. Thru his first four 2019 starts, the one named Francellis has thrown 23 1/3 IP, boasting three quality starts, a 2.70 ERA, 0.94 WHIP, an increased K rate, decreased walk rate, and loads of fiber in his diet. One cause for optimism this go round, is the addition of a nasty splitter to his repertoire this year which opponents are batting a measly .143 against. The splitter complements an elite fastball which is up almost one full mile per hour from last season, now sitting at an average velocity of 96.6 mph, along with an above average slider. Mr. Montaszuma has also been getting ahead of hitters often in the early going with a lofty 63% first pitch strike rate. Make sure Montas isn’t available in your league, I can wait. Jordan Lyles was exceptional Friday night capturing his second win of the year going six strong innings allowing just four hits, a walk and striking out six. He now leads the league with a 0.53 ERA. Mazel tov, Jordan, and happy Pesach! Well, someone clearly did not observe the High Sabbath last night. He had better things to do, busy mowing down the San Francisco hitters. So is the Bucs pitching coach Ray Searage is a miracle worker or a Three Eyed Raven or some kind of warg magic man?? The Pirates pitching staff now boasts a league best 2.54 ERA. But back to Jordan. Lyles has now struck out 16 over his past two starts and holds some real pretty ratios like that league leading 0.53 ERA and a 0.88 WHIP with an 19/5 K/BB. Yes, more please. Put that on your seder plate. After the all star break last year, Lyles started relying more on a combination of his curve ball and 4-seam fastball and benefited from this greatly posting a 3.00 ERA with hitters batting just .213 against him. His curve ball, in particular, can be pretty nasty when its on and when he’s mixing in the 4-seamer effectively Jordan has looked like a dominant pitcher. Seems like he’s brought this strategy with him to Pittsburgh and things with Searage have clicked. He had his outing shortened Friday after taking a line drive off the hand but the injury does not appear to be serious and he is expected to make his next start Wednesday versus Arizona. Lyles is available in over 75% of fantasy leagues and worth your streaming consideration at the very least. He’s starting to look like a steal for Pittsburgh, and he seems like a real mensch you may not want to Pass over! Baseball Podcast: Is This A Baseball Podcast Or What?? 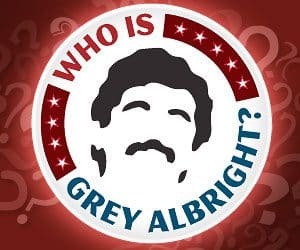 The Ditka Pod is once again graced with the presence of Fantasy Master Lothario Albright this week. After an ad nauseam discussion regarding the confusing nature of the podcast name (it’s a play on SNL’s Super Fans by the way), Grey breaks down B_Don & Donkey’s recent blockbuster trade in the RCL Perts League. Then it’s time for some early season victory laps where Tim Anderson, German Marquez, and Jose Ramirez are examined at length. Other topics of discussion include fantasy strategy in the extra juiced ball era, expectations for Chris Sale & Jacob deGrom moving forward, Hunter Dozier’s ongoing breakout, whether Miguel Cabrera is a pile of sh*t, and the mostly irrelevant Mike Ford. Uncontrollable giggles and sausage will flow when Master Grey comes around. It was 17 years ago that Virginia rapper Fam-Lay hopped on Clipse’s debut album Lord Willin’ and spit a fire verse on the seventh track. Today, Rays outfielder Tommy Pham ($3,200) is in a spot where he can perform just as well as Fam-Lay, batting second against Ervin Santana. The 36-year-old Santana is making his first start of the year and is projected for a 5.49 ERA by Steamer. Tampa’s lineup should have a big day against him, so Pham will be in a spot to score runs out of the two-hole. He’s already got five steals this year and is worth a look in all contests at this price. New to FanDuel? Scared of feeling like a small fish in a big pond? Well, be sure to read our content and subscribe to the DFSBot for your daily baseball plays. Just remember to sign up through us before jumping into the fray. It’s how we know you care! Check out our new NFL Depth Charts! Designed with Fantasy Football in mind. Hey. We get it. You don't like ads. 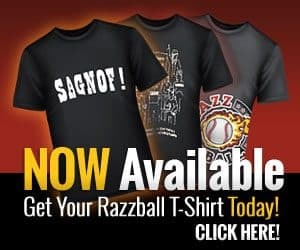 We set up an ad-free subscription (https://razzball.com/membership-account/subscriptions/?pa=ab) for you that still allows us to pay the bills/writers. Otherwise, please whitelist our site on your ad blocker. Thanks!